Let’s hope we’ve finally broken through the hold of Ol’ Man Winter. Can you believe that Memorial Day is less than 60 days away? So much to do to get ready including setting dates for great times and sails. 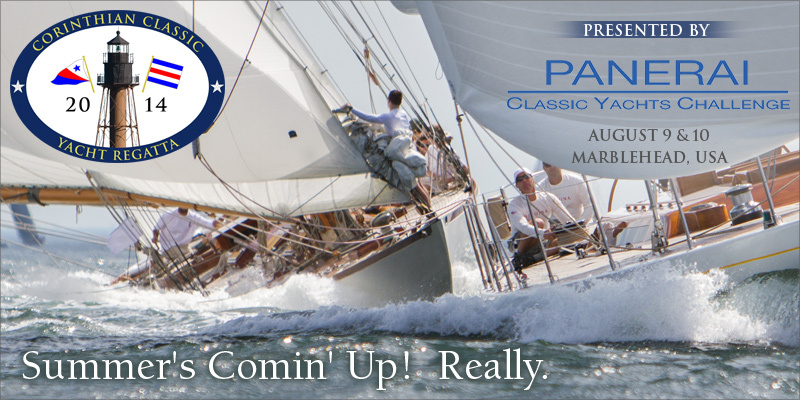 Mark your calendar for the weekend of August 8, 9 & 10 and get your crew committed for the Corinthian Classic Yacht Regatta, presented by Officine Panerai (www.panerai.com). Join us for some great sailing, a pig roast and live entertainment Saturday night. This regatta is a blast and easy to sail! Long reaching legs will be emphasized and beats will be minimal. (Gentlemen do not beat.) NO Spinnakers.